I invested in a new die set from My Favorite Things called Fold-Up Tags. What is unique with this set is that the top layer dies (3 with different bottom edge cuts) have a score line near the top that lets you fold back the top layer (neatly!) to see what is underneath after the top and bottom layers are glued together. I used scraps from Crate Paper, Lawn Fawn, and…hmmm…that blue glitter snowflake paper…Recollections, maybe? On the base layers I stamped “to: from”. Supplies: Stamps – Scrapbook.com, paper – Crate Paper FaLaLa, Lawn Fawn, Neenah Classic Crest Solar White, Recollections glitter (maybe! ), Silver Mirror, Stampin’ Up! Bermuda Bay, Real Red, ink – VersaFine Onyx Black, dies – My Favorite Things, embossing powder – Stampendous Detail clear, metallic cord – Paper Mart, twine -Offray. 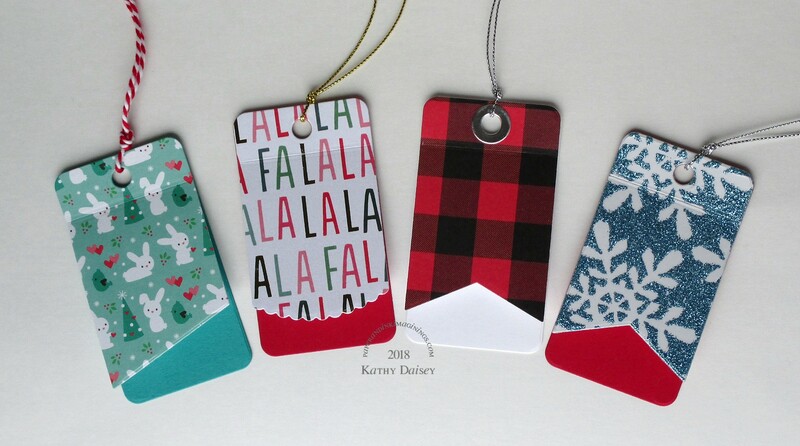 Categories: gift tag, holiday | Tags: Crate Paper, Lawn Fawn, My Favorite Things, Neenah, Offray, Paper Mart, Recollections, Scrapbook.com, Stampendous, Stampin' Up!, Tsukineko, VersaFine | Permalink. Easiest note cards in the world. Cut paper, done! Offspring3 called “dibs!” before I even photographed them. Supplies: Paper – Crate Paper Falala, Neenah Classic Crest Solar White, Recollections Gold Mirror. 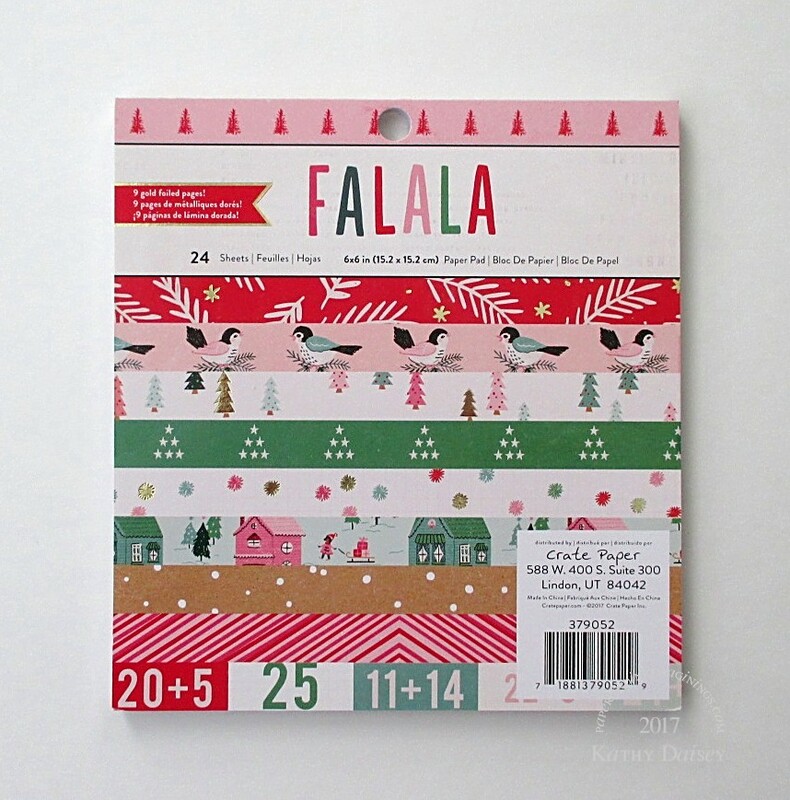 Categories: card, holiday, note | Tags: card, Crate Paper, Falala, Neenah, Recollections | Permalink. Yes, I have survived Thanksgiving hosting, and most of the leftovers are gone. I do feel like I have experienced a time warp, though. Offspring3 brought this dog stamp home from a trip to Michael’s last week. Adorable. 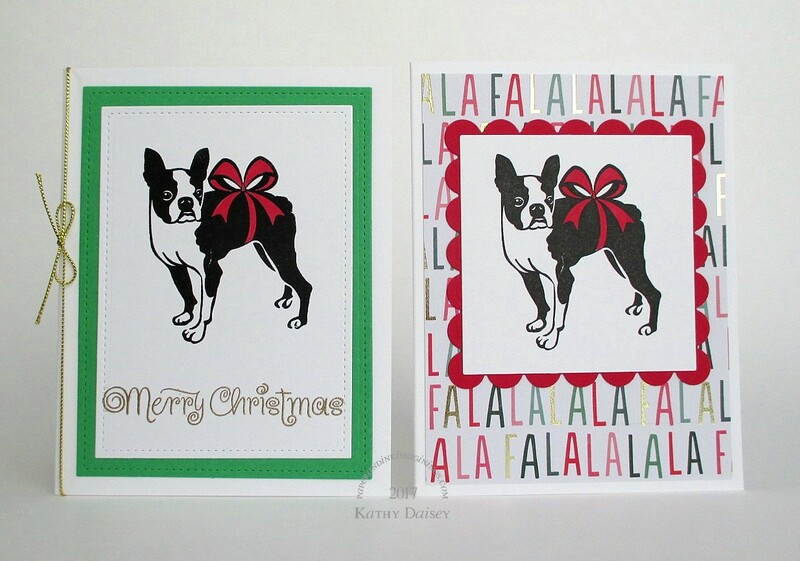 The dog on the left was stamped and heat embossed, the dog on the right was stamped (not embossed). 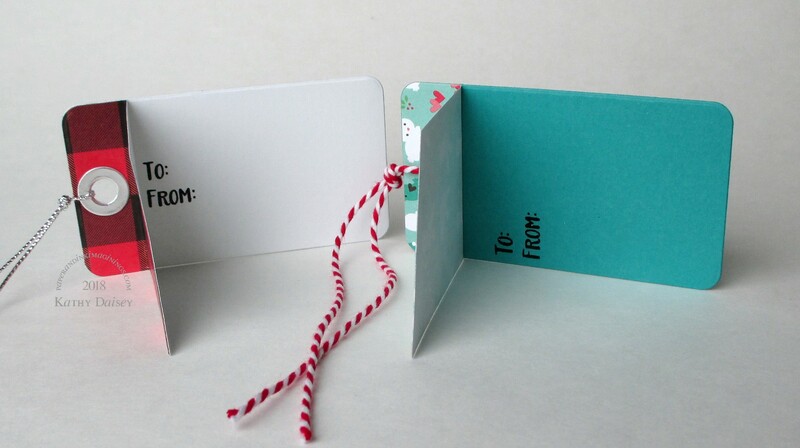 The bow on both cards was colored using a Copic marker. I came to the conclusion over the weekend that I am not designing one specific holiday card to send this year. I will probably put the same sentiment inside, but the cards are going to be random. Supplies: Stamps – Clearly Besotted, Recollections, paper – Crate Paper Falala, Malmero Pearl Sparkle Green, Neenah Classic Crest Solar White, Stampin’ Up! Real Red, inks – Copic R29, VersaFine Onyx Black, Vintage Sepia, dies – Lawn Fawn (stitched rectangles), Spellbinders (squares), embossing powders – Ranger clear, Stampendous Gold Detail, gold cord – Paper Mart. 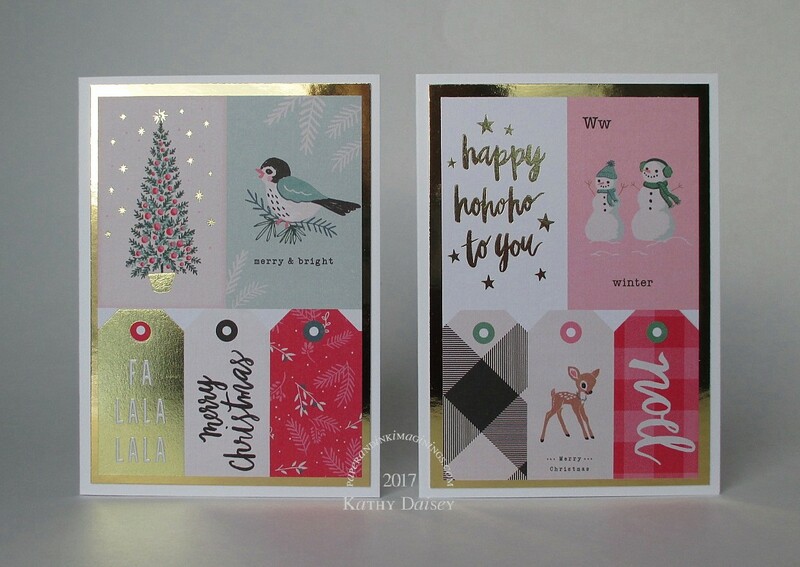 Categories: card, holiday | Tags: card, Copics, Crate Paper, Lawn Fawn, Malmero, Neenah, Paper Mart, Ranger, Recollections, Spellbinders, Stampendous, Stampin' Up!, Tsukineko, VersaFine | Permalink. My friend is almost done her chemotherapy – another PINK encouragement card. Supplies: Stamp – Paper Smooches, paper – Neenah Classic Crest Solar White, Poptone Razzle Berry, Sour Apple, Recollections Chevron, ink – VersaFine Onyx Black, dies – Lawn Fawn (stitched rectangle), Paper Smooches (flowers, leaves, pocket), embossing powder – Ranger clear, organdy ribbon – Offray. Categories: card, caring, encouragement | Tags: card, Lawn Fawn, Neenah, Offray, Paper Smooches, Poptone, Ranger, Recollections, Tsukineko, VersaFine | Permalink. Colorful butterflies – glad I still have retired Bashful Blue to match the paper. Supplies: Stamp – Stampin’ Up!, paper – Neenah Classic Crest Solar White, Recollections butterflies, Stampin’ Up! Bashful Blue (retired), ink – VersaFine Vintage Sepia, dies – Spellbinders, embossing powder – Stampendous. 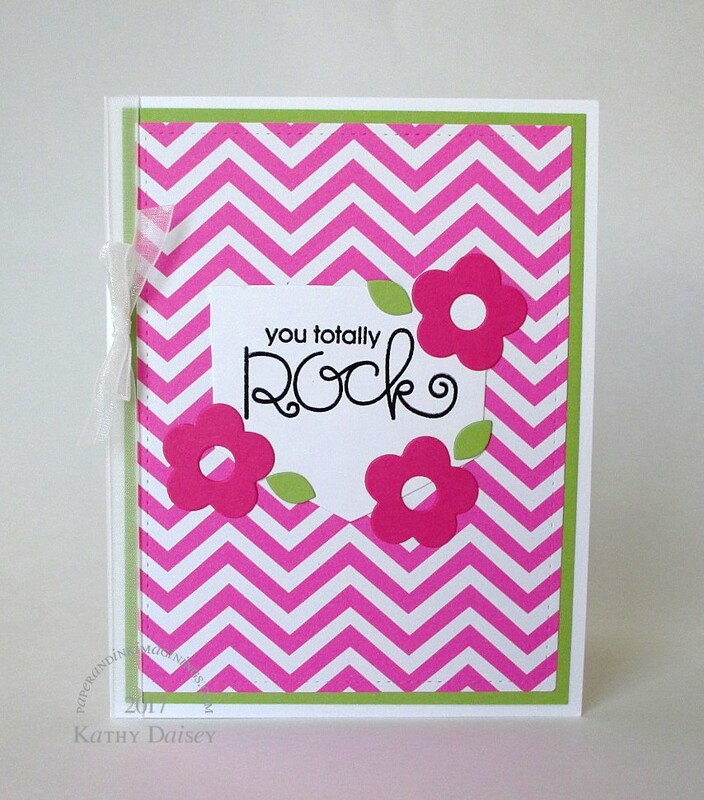 Categories: card, note, thinking of you | Tags: card, Neenah, Recollections, Spellbinders, Stampendous, Stampin' Up! | Permalink.